We are pleased to announce that we have arranged for regular phlebotomy for our patients. Sessions are currently on Tuesday and Friday mornings at Hughenden Valley Surgery, available to all our patients aged 16 and over. 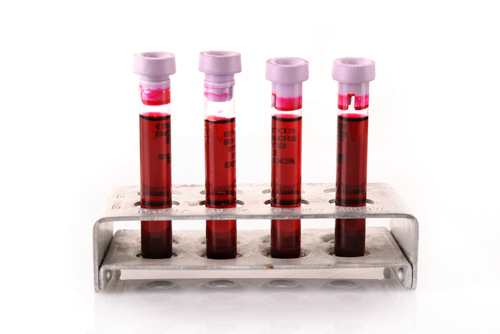 Prestwood phlebotomy sessions are held on Thursday mornings. Please note that Phlebotomy at Prestwood Surgery is in an upstairs consulting room, so if you have mobility problems, please ask for a Hughenden phlebotomy appointment as these are held in ground floor consulting rooms. Appointments for blood tests will be made through reception in the usual way. The computer generated forms for in-house phlebotomy must be brought to the phlebotomist who will otherwise not be able to take blood, and these forms are not valid at the hospitals. Patients may have their blood tests taken at the hospital (Amersham, Wycombe, Stoke Mandeville) and this also may be necessary for certain blood tests which need to be transferred to lab immediately or which need to be processed very urgently. The hospital also has a specific "Under 16 years of age" blood taking service. If your child may need anaesthetic cream to numb the skin before their blood test, please ask us for a prescription and then take the cream with you to the appointment. Please ring reception from 10:00 onwards to obtain test results. ONLINE ACCESS to your lab test results! To register for our online services just speak to one of our friendly receptionists or Click Here for more information.